CDA - maxon motor has QMS EN 9100 certification. Home> INDUSTRY FOCUSES >Aerospace >maxon motor has QMS EN 9100 certification. Home> DRIVES & MOTORS >DC Drives >maxon motor has QMS EN 9100 certification. The EN 9100 standard has been drawn up especially for companies that develop and produce the components for the aerospace industry. It opens the doors of aviation companies for maxon motor as a direct supplier. With EN 9100 certification, maxon motor will be able to further strengthen and expand its good market position in the field of avionics. This standard obliges companies and employees to reduce potential risks to a minimum by structuring their design and manufacturing processes accordingly. The EN 9100 standard builds on ISO 9001 and focuses on process-oriented, forward-looking project planning and order processing. "From now on we are able to take more targeted action in the growth and niche markets in the fields of aeronautics, astronautics and defense. We can now carry out active acquisition of projects with EN 9100 requirements. 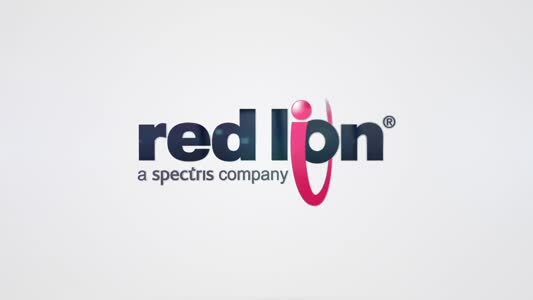 The resulting quality offensive encompasses the entire company. The certification means that, starting immediately, maxon motor is capable of developing and producing units that comply with EN 9100. We have already gained a lot of experience from completed projects,” says Eugen Elmiger, CEO of maxon motor ag. As supplier for the Mars rovers "Pathfinder”, "Opportunity”, "Spirit” and recently for "Curiosity”, maxon has proven itself. Furthermore, maxon products can also be found in the latest generation of passenger aircraft, such as the B787 Dreamliner. 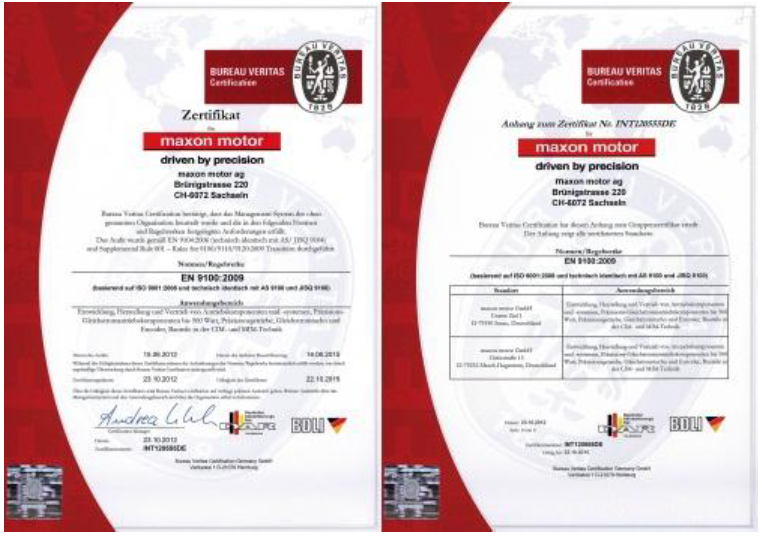 Quality is tradition at maxon motor: The drive specialist received the ISO 9001 certification as early as 1988, and became the seventh Swiss company to receive the certification. The ISO 14001 environmental standard has successfully been part of all company operations and policy decisions since 2006. Since 2009, maxon medical and maxon dental have been certified according to ISO 13485. This standard specifies the requirements for an extensive management system for the design and manufacturing of medical products.